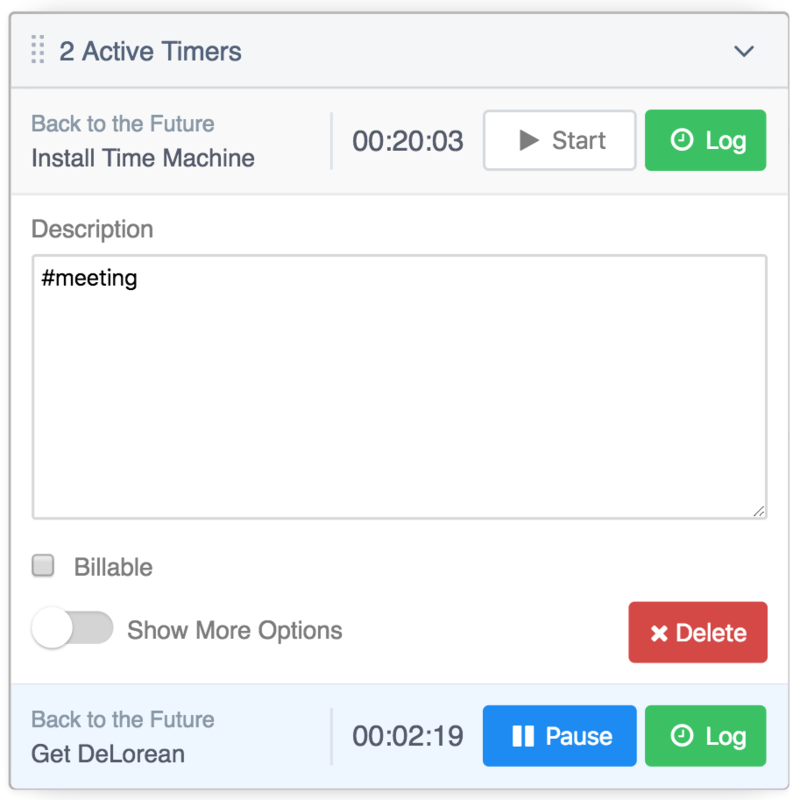 Within Teamwork Projects, you can start multiple timers on your Projects site. Each timer you start can relate to a different task and they will all display on the same screen allowing you to keep track of all tasks you are working on. To start a timer, hover over the task you wish to start the timer on and select the stopwatch icon which will appear. Once you have started the timer, it will appear in the bottom left of your screen. You can start timers on multiple tasks the same way as above and they will stack to the bottom left of the screen. Note: If you have more than three active timers, you can scroll through the timers with the next or back arrows. You can edit the timer from the bottom left by clicking the downward facing arrow. When you select this, you can choose to update the description of the task. You can use shortcodes in the description to add tags to the time entry. 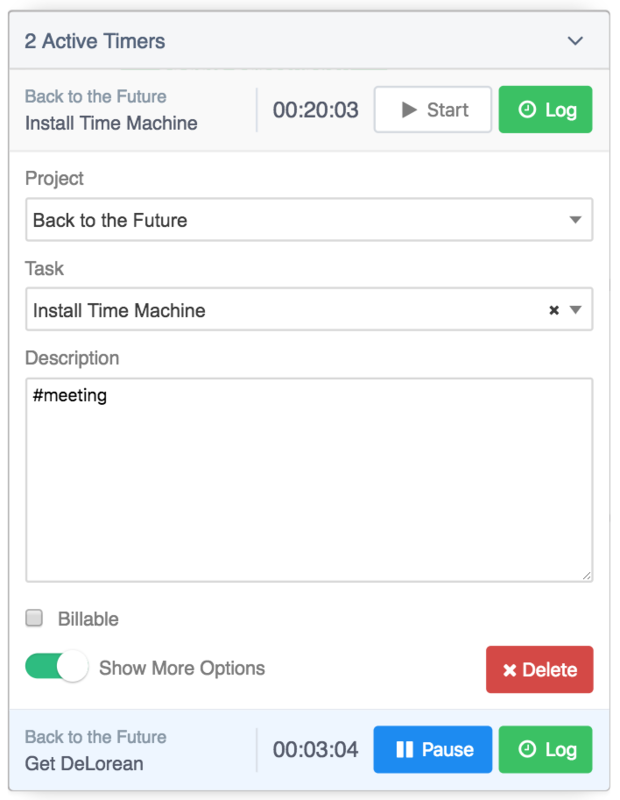 You can tick the box to choose whether the time will be logged as billable and choose to show more options. By selecting Show More Options you can select/update which project and task to log the time to.